1. 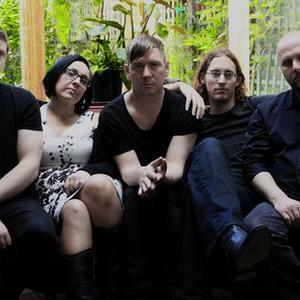 Laura is a post-rock band from Melbourne, Australia. http://www.wearemappingyourdreams.com. 2. Laura is a Norwegian girl-band from Bod?. Visit at www.myspace.com/lauratheband. 6. Laura is a singer and songwriter from Las Palmas de Gran Canaria, Spain. 8. Laura Is a bass guitar player from Lithuania, Alytus. 9. Laura Is the Belgian Partycipater of the JESC 2009. "Their massive wall of sound paralyses the room with awe?They're like a hit of LSD ? you can't stop it or control it, you just flow with it until it ends abruptly, leaving you naked and disoriented.? For anyone who ever thought that making good music was a lost art, Laura compels you to think again. Officially, the 5-piece alternative outfit from Melbourne formed in 2001, but it wasn't until a few years later that the band's story really began. Following the release of its debut EP ?Photographs?' in 2002, Laura experimented with a number of member changes and, consequently, sounds. By 2003, the band included the current members: Andrew Chalmers (guitars / vocals), Nathan Biggin (piano / synthesizers / guitars), Ben Yardley (guitars), Andrew Yardley (bass), and Carolyn Gannell (cello). The time spent perfecting the mix was clearly worth the toil, because what followed is one of the most impressive and well received bodies of work produced by an Australian underground act in recent years. In 2004, Laura released its debut album, 'Mapping Your Dreams', produced by Melbourne-based Japanese engineer and recording artist Naomune Anzai. The title track quickly gained the attention of radio, receiving high-rotation airplay from independent stations around the country including FBi Radio and 2SER in Sydney, and 3RRR and 3PBS in Melbourne. Critical success soon followed. Of the album, Rave Magazine said, "Mapping Your Dreams drips in ethereal, other worldly wall of soundness.? Beat Magazine named the track 'We Should Keep This Secret' its Single of the Week and later Indie Single of the Year for 2004. During this time, Laura began to gain significant momentum in the live arena as well, thanks to intense shows that featured the band's signature wall of sound, and its dramatic and at times chaotic dynamics. Having created a more than healthy groundswell, Laura spent an intense six months writing and recording its second album, ?Radio Swan Is Down'. Upon the albums' release in 2006, the band embarked on a national tour which not only proved to intensify their fan base, but also gained the attention of international ears including US prog-metal group ISIS, for whom Laura would go on to support on their 2007 Australian tour. That same year, the band released a Japanese edition of ?Radio Swan Is Down', later promoting the album with a tour of Japan that included shows in Tokyo, Osaka and Hiroshima. With their international profile clearly on the rise, and a solid international fan base now well established, Laura released their second EP 'Yes Maybe No' in 2008 on US label Elevation Recordings. Further exposure in the US followed in 2009 with MTV licensing several of the band's songs for various TV series. Dark, moody and complicated, this latest release by Laura is sure to leave a mark on all who hear it. Laura Omloop known as Laura born on 18/05/1999 in Berlaar. She participated in Junior Eurovision Song Contest 2009 qualifications of Belgium with the song "Zo Verliefd". She won the qualifications and will now go to Kiev to participate in the Junior Eurovision Song Contest 2009 for Belgium! Laura P?ldvere also known as Laura is an Estonian singer. Laura started her career in 2005, when she was participating in Eurolaul 2005, with song "Moonwalk". "Moonwalk" came second, but Laura won the contest as the member of Suntribe. Suntribe represented Estonia in Eurovision Song Contest 2005. Laura released her first single "Moonwalk" in January of 2005. In 2005 Laura won another contest "Kaks Takti Ette 2005". Laura took part of "Eurolaul 2007". Her song "Sunflowers" came third. In September of 2007 Laura released here debute album "Muusa". In 2008 she has performed with Estonian jazz musicians Raivo Tafenau and Ain Agan. Her song "Destiny" participates in Eesti Laul 2009, a local contest to choose the Estonian entry for the Eurovision Song Contest 2009. She released some of her albums just as Laura. See the other entry Laura Voutilainen @ last.fm for info.